Nevertheless, he is still at heart that outlaw-poet, who must express his earthiness, his humanity, and his guiding heavenly principle. Thus comes to pass BANDIT SOUP, a collection of rootsy melodic musical poetry representing the life experience of Bill Bothwell. To the casual folk-roots listener, the path to recording BANDIT SOUP appears to be a very long strange trip. But to Bill, that extended journey – and everything that happened along the way – are the essence of his story. A story now being told on the 10 colorful tracks of this captivating Americana recording. This is heart-felt music that invites the listener along on Bill’s artistic-spiritual quest from the musically precocious Missouri kid to the ’60s radical to the poet troubadour and the music journalist and the spiritual searcher and the West Coast lawyer. The result of that quest is Bill’s recipe for BANDIT SOUP – a true meal for the soul. Bill began on the piano starting lessons at a very young age. As time went on, he was attracted to those guitar-heavy, heartland roots sounds emanating from every whisky and beer joint in his hometown of Springfield, Missouri. Bill switched to guitar as he also needed an instrument to take along on his wanderings. During a three-month, teenage adventure in Mexico, he found the guitar — that souvenir instrument helped further inspire Bill’s interest in songwriting. After college Bill made the obligatory musician’s pilgrimage to the West Coast. Starting in San Diego, he began a northward journey playing wherever, and with whomever, he could. It landed him in Portland, Oregon. Bill established himself there as a singer/songwriter while also becoming the music editor for a local newspaper. That gave him reason and time to review and interview many of the musicians who were his influences. To this day, Bill cites a wide range of those influences, from Joni Mitchell to Les Paul. Living in this musical maelstrom further encouraged Bill to compose tunes. Bill was always an avid reader. Early on, he connected with the work of many of the Beat poets; his favorites being William Burroughs, Gregory Corso, Peter Orlovsky, and particularly Allen Ginsberg. To Bill, Ginsberg embodied many of the literary ideals of Walt Whitman. With a group of friends and colleagues in Portland, Bill formed a group that combined reading original poetry with meditation in the West Coast Zen tradition. This joined forces with his musical compositions to form the basis for his distinct songs. 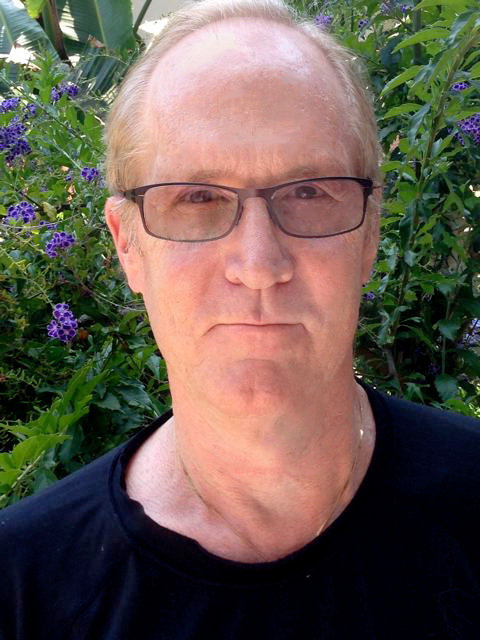 Bill trekked to Boulder, Colorado, to study literature and Buddhism at Naropa University. At that time many of the Beats were part of the scene there allowing Bill to meet and interact with those whose work he’d admired. But it was working with Allen Ginsberg that most influenced his songwriting. Ginsberg explained his own fondness and understanding for Bob Dylan. His lesson to Bill was that poetry and song are more than a collusion for the pleasure of the audience. Songwriting must be about opening one’s self up to the world. An intellectual friendship developed between Bill and Ginsberg. In Boulder they would meet to discuss poetry and meditation. Bill organized readings for Ginsberg, first in Boulder and then in Los Angeles. But at the heart of it, this friendship continued to open Bill to all the possibilities in his own artistic expression. Bill wears his influences openly yet builds on them to create his own distinctive sound. The music embodies some of the best traditions of folk-rock in audio shadings and grooves. Such songs as Bones And Peonies, West Bank Blues, and Leaves Are Falling recall Dylanesque experiments from Highway 61 Revisited and Nashville Skyline to his more modern roots recordings. A tune like Only Love Can See Out There nicely borrows its style from the Texas Americana of Townes Van Zandt. Others in Bill’s collection look beyond the US border. Just Like The Moon is pleasantly reminiscent of Leonard Cohen, while Sweet Guitars and Everything Must Go sound like missing tunes from George Harrison’s early solo efforts. Fleshing out Bill’s compositions is a talented crew worthy of mention. Producer Joel Wachbrit (who also plays guitar) has literally thousands of writing and producing credits to his name in movie and television music that have earned him two BMI Awards. Joel recognized early on that Bill’s Shambhala beliefs were “the ground that this tree grew out of.” So he created a studio atmosphere that brought out the heart, the motivation, the viewpoint, and the inspiration of Bill’s meditation practice. It was of paramount importance to Joel to find musicians who would translate that into their playing. Along with Joel on guitar, BANDIT SOUP features such renowned musicians as drummer John Molo (Bruce Hornsby & The Range; John Fogerty; Phil Lesh & Friends), keys/accordionist John “JT” Thomas (Bruce Hornsby; Don Henley; Emmylou Harris; Bonnie Raitt), bassist Steve Nelson (The Captain & Tennille/house bassist for The Toni Tennille TV Show, B.B. King, Mel Torme, Carole King, Kenny Loggins, The Temptations) and pedal steel guitarist Dave Pearlman (Dan Fogelberg; Hoyt Axton; Michelle Shocked). Where will Bill Bothwell’s journey take him next? Who can say – but you’re here at the beginning with BANDIT SOUP.